SKU: [ fav-216 ] Available in a wide range of colours and designs to suit. 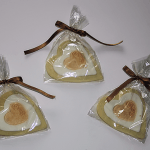 Individual gold heart cookies (Soft butter cookies). Baked fresh to order. Choose from any of our fresh baked cookies. Mix and match between any of our home made / baked favours. 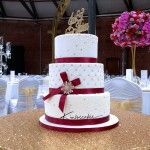 Every wedding favour is individually baked / made to order 24 hours prior to your required date. 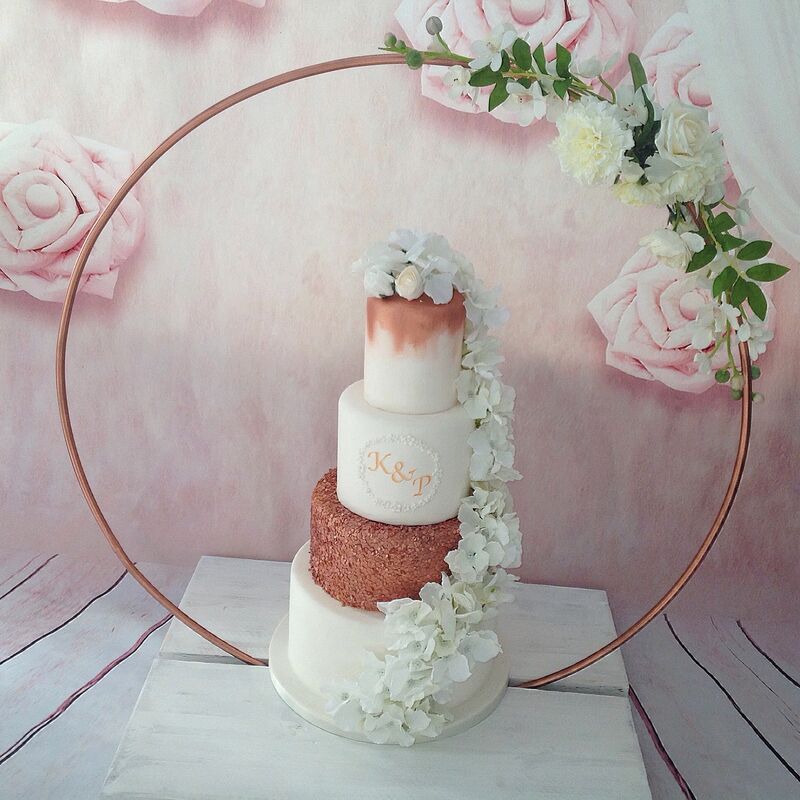 Have you already ordered your wedding cake with us? 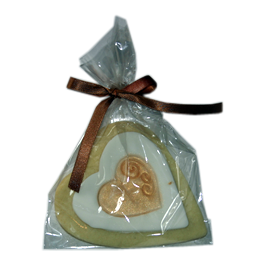 Why not match this cookie favour to your wedding theme. 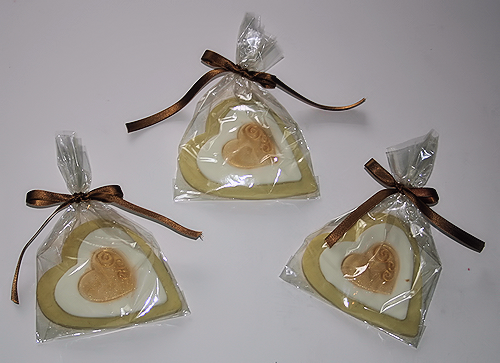 Every one of our cookie wedding favours is individually baked and decorated by hand to suit your wedding day theme. We also can provide gingerbread cookies if you prefer. Our soft butter cookies are baked using our own special recipe and are a gorgeous taste. You may have these heart shaped cookies with different colour blends for the decoration. We also have a wide range of ribbon colours available for tying the bags. 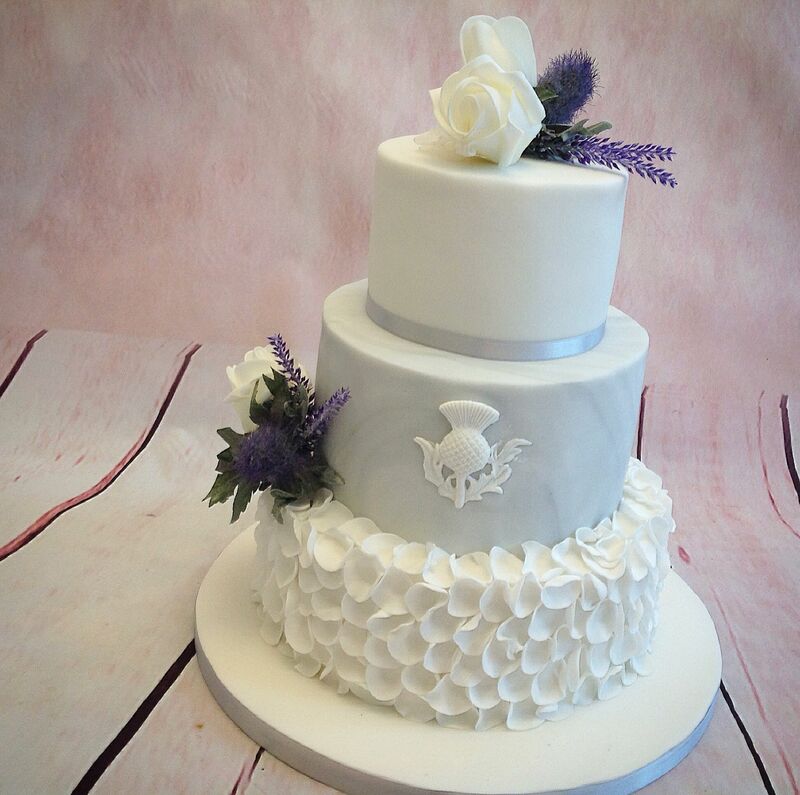 If you have your own style of design for your favours, please let us know. We will be happy to work with you. We also do a range of different hand made Belgian chocolates. Please note decorations may vary slightly from cookie to cookie as each is baked individually.